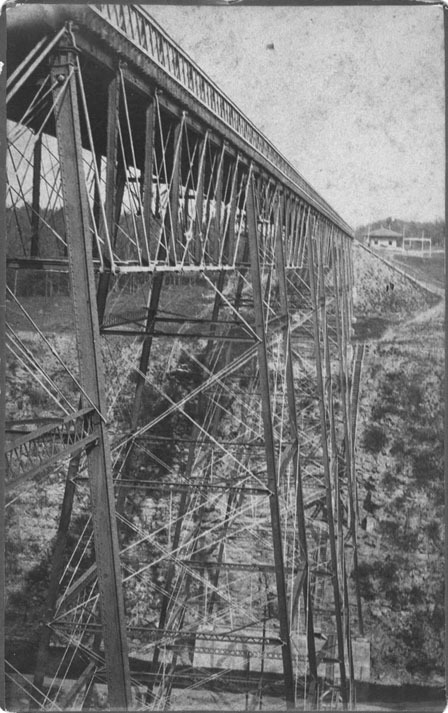 This view of the Iron Bridge was probably taken within a few years of its completion in 1875. The photographer was standing on the west bank of the gorge, just south of the bridge. On the far eastern bank you can see the train depot and, far below the bridge, the dark waters of the Genesee Valley Canal. We do not know if these made for energetic and daring tourists or for the workmen who built the bridge, nor how long they remained. But we are sure they would have provided a strenuous adventure for those visiting the amazing Portage Bridge! 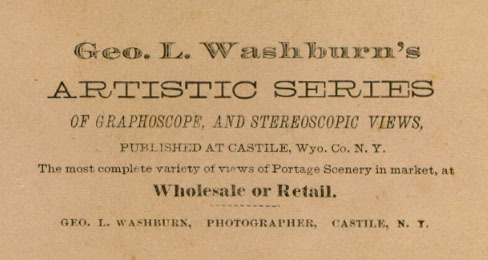 Back label of the photograph.